Military pallbearers carry the casket of Army Sgt. 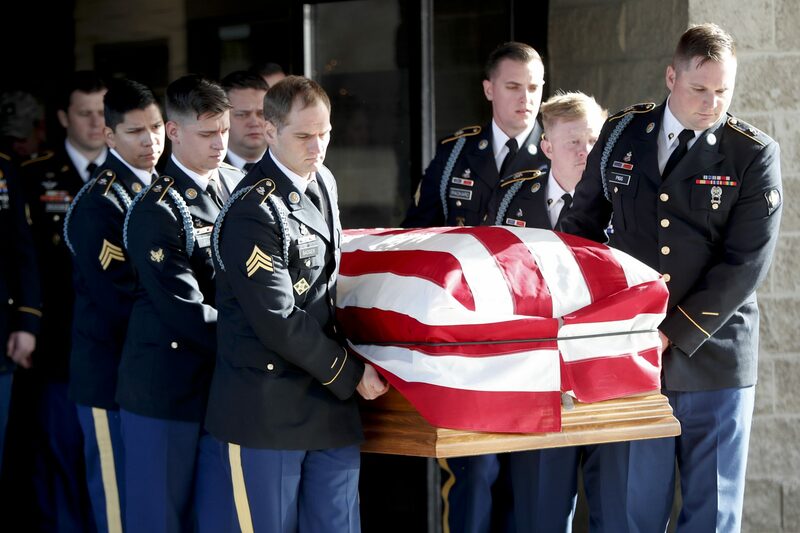 Jason McClary from his funeral, Tuesday, Dec. 18, 2018, in Export, Pa. McClary died from wounds suffered in a roadside bomb blast in Afghanistan. Three other service members were killed in the explosion. Several dozen soldiers from the state have died in the conflict. Two Pennsylvania servicemen were killed recently in Afghanistan in a roadside bombing. They are among the several dozen military members from Pennsylvania who have died while serving in the Afghanistan war, since the 9/11 terrorist attacks led U.S. forces to invade the country more than 17 years ago. Below is a map with the hometowns of military members from Pennsylvania killed while serving in Afghanistan war operations. You can click on the markers on each map to learn more about each service member. Source: Defense Manpower Data Center as of Jan. 17, 2019. Some were killed while serving in Afghanistan. Others died outside the country as part of Operation Enduring Freedom and Operation Freedom’s Sentinel, the two major military operations focused on Afghanistan. Casualty data includes both those killed by enemy forces and in non-combat related incidents. Two of the Pennsylvania service members — Air Force Staff Sgt. Dylan Elchin and Army Sgt. Jason M. McClary — were killed following the deadliest attack on American forces in Afghanistan last year. The were in Ghazni province on Nov. 27, 2018, when their vehicle was struck by a roadside bomb. Elchin and two other service members were killed in the attack. McClary died days later from his injuries. Staff Sgt. 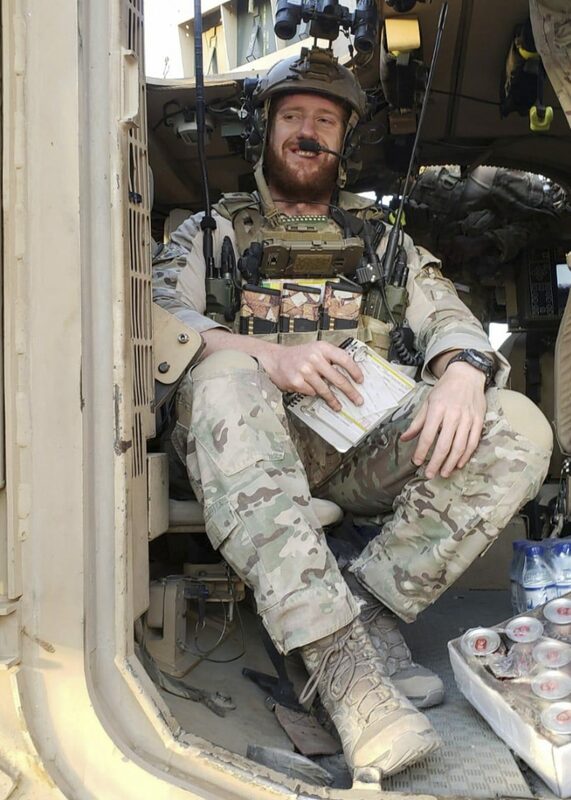 Dylan Elchin was killed by an improvised explosive device in Afghanistan on Nov. 27, 2018. Elchin was 25, a former Boy Scout who spent years training to become a special tactics combat controller. He was planning to get married when he returned to the United States. McClary was 24, a husband, and a father to two young boys. He previously served in Iraq, and he had planned to leave the military after the Afghanistan deployment because of the time away from his family, his wife told the Pittsburgh Post-Gazette. Both Elchin and McClary were from western Pennsylvania. McClary was buried last month at the National Cemetery of the Alleghenies in southwestern Pennsylvania. Elchin is scheduled to be buried at Arlington National Cemetery in Virginia Thursday. Weeks after the deaths of Elchin and McClary, President Donald Trump announced plans to withdraw all of the about 2,000 U.S. troops in Syria and about half of the about 14,000 U.S. troops in Afghanistan. But the Trump administration has sent mixed signals about its plans in those two countries, NPR reported recently. Trump has not called for a large withdraw of troops in Iraq. In December, Trump and the first lady made a surprise a holiday visit to Iraq. During that trip, Trump said he had no plans to pull troops out of Iraq. But he defended the decision to pull troops out of Syria and he talked about the length of the Afghanistan war. This undated photo provided by the Fort Carson Public Affairs Office shows Sgt. 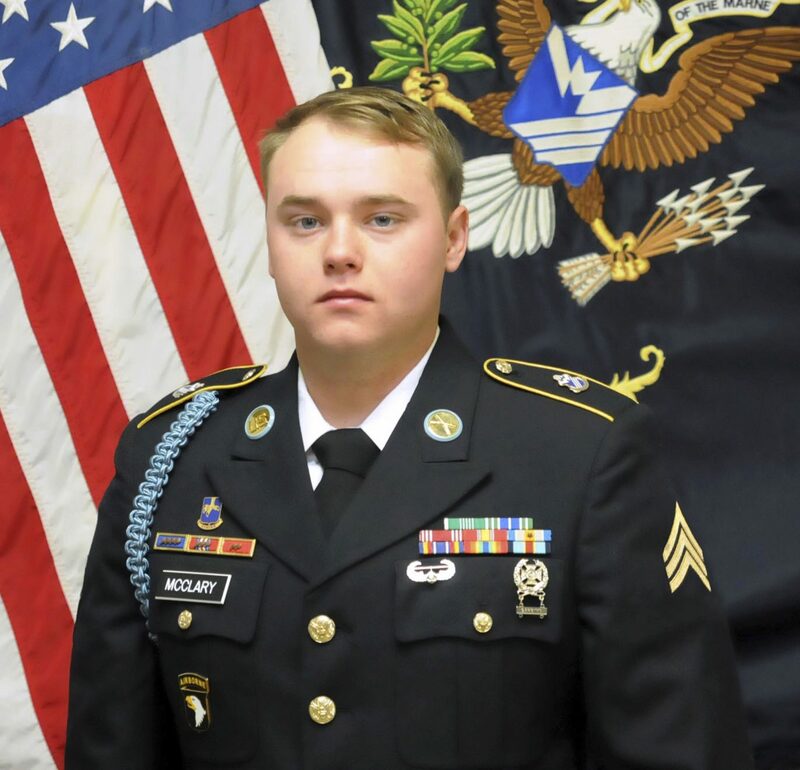 Jason McClary, of Export, Pa. McClary died Sunday, Dec. 2, 2018, at the military hospital in Landstuhl, Germany. The Pentagon says that McClary is the fourth soldier to die from wounds suffered last week in a roadside bomb blast in eastern Afghanistan. The Taliban claimed responsibility for the attack. Overall, there have been about 2,400 U.S. military casualties in the two major military operations of the Afghanistan war, according to the U.S. Department of Defense. Not all of those deaths occurred in Afghanistan itself. There have been more casualties in the Iraq war. During Operation Iraqi Freedom, which lasted from March 2003 through August 2010, there were 4,410 U.S. military casualties. During the two major military operations that have included Iraq since then, there have been 141 U.S. military casualties, as of last week. Ed Mahon can be reached at emahon@papost.org or at 717-421-2518.